Manchester United Football Club is an English professional football club based in Old Trafford, Greater Manchester. The club was founded as Newton Heath LYR F.C. in 1878 and turned professional in 1885, before joining the Football League in 1892. After a brush with bankruptcy in 1901, the club reformed as Manchester United in 1902. Manchester United currently play in the Premier League, the top tier of English football. They have not been out of the top tier since 1975, and they have never been lower than the second tier. They have also been involved in European football ever since they became the first English club to enter the European Cup in 1956. This list encompasses the major honours won by Manchester United and records set by the club, their managers and their players. The player records section includes details of the club's leading goalscorers and those who have made most appearances in first-team competitions. It also records notable achievements by Manchester United players on the international stage, and the highest transfer fees paid and received by the club. The club's attendance records, both at Old Trafford, their home since 1910, and Maine Road, their temporary home from 1946 to 1949, are also included in the list. The club currently holds the record for the most Premier League titles with 13, and the highest number of English top-flight titles with 20. 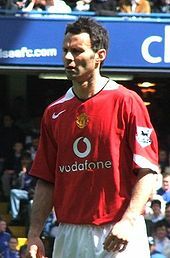 The club's record appearance maker is Ryan Giggs, who made 963 appearances between 1991 and 2014, and the club's record goalscorer is Wayne Rooney, who scored 253 goals in 559 appearances between 2004 and 2017. All stats accurate as of match played 19 May 2018. Manchester United's first trophy was the Manchester Cup, which they won as Newton Heath LYR in 1886. Their first national senior honour came in 1908, when they won the 1907–08 Football League First Division title. The club also won the FA Cup for the first time the following year. In terms of the number of trophies won, the 1990s was Manchester United's most successful decade, during which they won five league titles, four FA Cups, one League Cup, five Community Shield (one shared)[A], one UEFA Champions League, one UEFA Cup Winners' Cup, one UEFA Super Cup and one Intercontinental Cup. The club currently holds the record for most top-division titles, with 20. They were also the first team to win the Premier League, as well as holding the record for the most Premier League titles (13), and became the first English team to win the European Cup when they won it in 1968. Their most recent trophy came in May 2017, when they won the UEFA Europa League. Paul Scholes has made the third-highest number of appearances for Manchester United. Bobby Charlton was Manchester United's highest all-time goalscorer until 2017, when his total of 249 goals was surpassed by club captain Wayne Rooney. Manchester United's international players are listed in the players' lounge at Old Trafford. All nine of Newton Heath's international players played for Wales. The first non-Welshman to be capped, and the first after the club's change of name to Manchester United, was Charlie Roberts, who was capped for England against Ireland on 25 February 1905. Manchester United's record signing is Paul Pogba, who signed for the club from Juventus for a world record fee of £89.3 million in August 2016. The signing of Anthony Martial for £36 million in 2015 set a world record for the transfer of a teenager. Rio Ferdinand, signed in July 2002 from Leeds United for £29.3 million, then Manchester United's most expensive purchase. The first transfer for which Manchester United (then Newton Heath) had to pay a fee was the transfer of Gilbert Godsmark from Ashford in January 1900. Manchester United paid Ashford a fee of £40 for Godsmark. The club's first £1,000 transfer came in 1910, when they signed Leslie Hofton from Glossop. When the club signed Tommy Taylor from Barnsley in 1953, the fee was intended to be £30,000. However, Matt Busby did not want to burden the young player with the "£30,000 man" tag, and Barnsley agreed for the fee to be reduced by £1 to £29,999. Busby then took the extra pound from his wallet and gave it to the lady who had been serving the teas. Manchester United made their first £100,000 signing in August 1962 with the transfer of Denis Law from Torino for £110,000, a new British record. The club broke the British transfer record again in 1981 with the £1.5 million signing of Bryan Robson from West Bromwich Albion. When Andy Cole signed for United in January 1995, the club paid £7 million, almost double their previous record of £3.75 million, which they paid for Roy Keane 18 months earlier. In the summer of 2001, the club broke their transfer record twice in the space of a month, first paying PSV Eindhoven £19 million for Ruud van Nistelrooy, and then £28.1 million to Lazio for Juan Sebastián Verón. 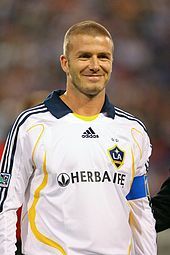 David Beckham was sold to Real Madrid for a then club record of £24.5 million in July 2003. The club's record sale came in July 2009, when they sold Cristiano Ronaldo to Real Madrid for £80 million. The first player for whom Manchester United, then Newton Heath, received a fee was William Bryant, who moved to Blackburn Rovers for just £50 in April 1900. That same month, Manchester City paid five times more for Scottish forward Joe Cassidy. The club's first £1,000 sale came 12 years later with the sale of Harold Halse to Aston Villa. The club's first British record sale came in March 1949, when Derby County paid £24,500 for Johnny Morris. However, 35 years passed before Manchester United next broke the record for the biggest sale by a British club; the sale of Ray Wilkins to Milan for £1.5 million in June 1984 was also the club's first million-pound sale. Another British record followed two years later with the sale of Mark Hughes to Barcelona for £2.5 million. The club's record sale increased fivefold in the space of two transfers over the next 15 years; first with the £7 million sale of Paul Ince to Internazionale in 1995, and then the 2001 transfer of Jaap Stam to Lazio for £15.25 million. Manchester United broke the world transfer record for the first time in July 2009 with the £80 million sale of Cristiano Ronaldo to Real Madrid. 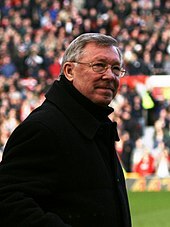 Sir Alex Ferguson was the manager of Manchester United for 1,500 matches, more than any other manager. First full-time manager: Jack Robson – Robson was manager of Manchester United for 6 years and 10 months, starting on 28 December 1914, before pneumonia forced his retirement in October 1921. A. ^ Between 1949 and 1993, when the Charity Shield finished in a draw, the Shield would be shared by the two teams. In the 1980s and early 1990s, the Shield itself was held by each club for six months. B. ^ The Premier League took over from the First Division as the top tier of the English football league system upon its formation in 1992. The First Division then became the second tier of English football, the Second Division became the third tier, and so on. The First Division is now known as the Football League Championship, while the Second Division is now known as Football League One. C. ^ The "Other" column constitutes goals and appearances (including those as a substitute) in the FA Community Shield, the UEFA Super Cup, the Intercontinental Cup and the FIFA Club World Cup. D. ^ Major competitions include the Premier League, the FA Cup, the League Cup and the UEFA Champions League. E. ^ Due to bomb damage to Old Trafford, in the period between the end of the Second World War and 1949, Manchester United played their home games at Maine Road, the home of Manchester City, with the exception of two FA Cup matches in the 1947–48 season, which were played at Goodison Park, Liverpool, and Leeds Road, Huddersfield, respectively. F. ^ This is also the Premier League's record attendance. ^ a b c d e f g h i j k "Manchester United". Football Club History Database. Retrieved 3 August 2008. ^ "Hibernian reach the first European Cup semi-finals 1956". A Sporting Nation. BBC Scotland. Retrieved 4 August 2008. ^ "Trophy Room". Manchester United F.C. 2009. Retrieved 17 May 2009. ^ White, John (2007). The United Miscellany. London: Carlton Books. p. 66. ISBN 978-1-84442-745-1. ^ Mitten, Andy (2007). The Man Utd Miscellany. Vision Sports Publishing. p. 29. ISBN 978-1-905326-27-3. ^ McNulty, Phil (28 May 2011). "Barcelona 3–1 Man Utd". BBC Sport. British Broadcasting Corporation. Retrieved 28 May 2011. ^ White, John D. T. (29 May 2008). "January". The Official Manchester United Almanac (1st ed.). London: Orion Books. p. 17. ISBN 978-0-7528-9192-7. ^ "The Top 100 Appearance-Makers in All League Matches". StretfordEnd.co.uk. Retrieved 9 March 2015. ^ "The Top 100 Appearance-Makers in All FA Cup Matches". StretfordEnd.co.uk. Retrieved 9 March 2015. ^ "The Top 100 Appearance-Makers in All League Cup Matches". StretfordEnd.co.uk. Retrieved 9 March 2015. ^ "The Top 100 Appearance-Makers in All European Matches". StretfordEnd.co.uk. Retrieved 9 March 2015. ^ "The Top 100 Appearance-Makers in Other Competitive Matches". StretfordEnd.co.uk. Retrieved 9 March 2015. ^ "The Top 100 Appearance-Makers in All Competitive Matches". StretfordEnd.co.uk. Retrieved 9 March 2015. ^ a b "Manchester United F.C - Club Records". SportNetwork.net. Retrieved 21 April 2008. ^ "History of the Premier League". Premier League. PremierLeague.com. Archived from the original on 5 December 2013. Retrieved 5 December 2013. ^ Mitten, Andy (2007). The Man Utd Miscellany. Vision Sports Publishing. p. 109. ISBN 978-1-905326-27-3. ^ Brandon, Derek (1978). A–Z of Manchester Football: 100 Years of Rivalry. London: Boondoggle. p. 109. ^ May, John (25 November 2005). "The best of Best". BBC Sport. Retrieved 21 April 2008. ^ "Rutgerus Van Nistelrooy". ESPNsoccernet. Retrieved 3 August 2008. ^ Crick, Michael (1999) . "Red Hat-Tricks". Manchester United: The Complete Fact Book (2nd ed.). London: Profile Books. p. 84. ISBN 1-86197-206-7. ^ McNulty, Phil (25 February 2004). "The hat-trick Hall of Fame". BBC Sport. Retrieved 3 August 2008. ^ "Hat Tricks - Denis Law". StretfordEnd.co.uk. Retrieved 1 April 2009. ^ "All Goalscorers in All League Matches". StretfordEnd.co.uk. Retrieved 9 March 2015. ^ "All Goalscorers in FA Cup Matches". StretfordEnd.co.uk. Retrieved 9 March 2015. ^ "All Goalscorers in League Cup Matches". StretfordEnd.co.uk. Retrieved 9 March 2015. ^ "All Goalscorers in All European Matches". StretfordEnd.co.uk. Retrieved 9 March 2015. ^ "All Goalscorers in All Other Competitive Matches". StretfordEnd.co.uk. Retrieved 9 March 2015. ^ "All Goalscorers in All Competitive Matches". StretfordEnd.co.uk. Retrieved 9 March 2015. ^ "European Footballer of the Year ("Ballon d'Or")". Rec.Sport.Soccer Statistics Foundation. 9 October 2008. Retrieved 11 June 2010. ^ "Ronaldo scoops ESM Golden Shoe". UEFA. 17 June 2008. Retrieved 5 December 2013. ^ "FIFA World Player of the Year – Men's votes by player" (PDF). FIFA.com. Fédération Internationale de Football Association. 12 January 2009. Retrieved 11 June 2010. ^ "Messi recognised as Europe's finest". UEFA. 27 August 2009. Archived from the original on 31 August 2010. Retrieved 11 June 2010. ^ "Ronaldo's 'incredible, fantastic' goal". FIFA.com. Fédération Internationale de Football Association. 21 December 2009. Retrieved 5 November 2013. ^ a b White, John (2007). The United Miscellany. London: Carlton Books. p. 60. ISBN 978-1-84442-745-1. ^ a b "England Players' Club Affiliations - Manchester United". England Football Online. 2008. Retrieved 21 April 2008. ^ "Games played by Cristiano Ronaldo in 2003/2004". Soccerbase. Centurycomm. Retrieved 23 July 2017. ^ a b "Paul Pogba: Manchester United re-sign France midfielder for world-record £89m". BBC Sport (British Broadcasting Corporation). 9 August 2016. Retrieved 24 July 2018. ^ a b "Paul Pogba: Man Utd signing of Juventus midfielder subject of Fifa inquiry". BBC Sport (British Broadcasting Corporation). 10 May 2017. Retrieved 24 July 2018. ^ a b "Anthony Martial: Man Utd sign Monaco forward for £36m". BBC Sport (British Broadcasting Corporation). 1 September 2015. Retrieved 1 September 2015. ^ "Romelu Lukaku: Man Utd sign Everton striker for initial £75m". BBC Sport (British Broadcasting Corporation). 10 July 2017. Retrieved 10 July 2017. ^ "Angel Di Maria: Man Utd pay British record £59.7m for winger". BBC Sport (British Broadcasting Corporation). British Broadcasting Corporation. 26 August 2014. Retrieved 26 August 2014. ^ "Manchester United: Brazilian Fred joins from Shakhtar Donetsk for £47m". BBC Sport. British Broadcasting Corporation. 21 June 2018. Retrieved 18 July 2018. ^ "Nemanja Matic: Manchester United complete signing of Chelsea midfielder". BBC Sport. British Broadcasting Corporation. 31 July 2017. Retrieved 23 July 2018. ^ "Man Utd sign Mata for £37.1m". BBC Sport. British Broadcasting Corporation. 25 January 2014. Retrieved 25 January 2014. ^ "Victor Lindelof: Manchester United sign £31m Benfica defender". BBC Sport. British Broadcasting Corporation. 14 June 2017. Retrieved 14 June 2017. ^ "Man Utd complete Berbatov switch". BBC Sport. British Broadcasting Corporation. 1 September 2008. Retrieved 1 September 2008. ^ "Eric Bailly: Man Utd sign Villarreal defender". BBC Sport. British Broadcasting Corporation. 8 June 2016. Retrieved 8 June 2016. ^ a b c d e f g Fifield, Dominic (23 July 2002). "United finally land Ferdinand". The Guardian. London: Guardian News and Media. Retrieved 8 December 2011. ^ Ponting, Ivan (2008) . Manchester United: Player by Player (8th ed.). Studley: Know The Score Books. p. 84. ISBN 978-1-84818-300-1. ^ "Manchester Footballers". Manchester UK. Archived from the original on 26 September 2008. Retrieved 3 August 2008. ^ Johnson, Dale. "Bryan Robson". ESPNsoccernet. Retrieved 3 August 2008. ^ "From £250,000 to £29.1m". Observer Sport Monthly. London: Guardian News and Media Limited. 5 March 2006. Retrieved 11 August 2008. ^ "Five-minute final: Where are they now?". BBC Sport. 19 May 2005. Retrieved 11 August 2008. ^ a b Ree, Olav. "redStat - Manchester United Statistics 1970-2009". redStat. Archived from the original on 13 March 2012. Retrieved 12 September 2009. ^ a b c d "Ronaldo completes £80m Real move". BBC Sport. British Broadcasting Corporation. 1 July 2009. Retrieved 1 July 2009. ^ "Angel Di Maria: Manchester United midfielder joins PSG". BBC Sport (British Broadcasting Corporation). 6 August 2015. Retrieved 25 July 2018. ^ a b "Beckham joins Real Madrid". BBC Sport (British Broadcasting Corporation). 18 June 2003. Retrieved 25 July 2018. ^ "Morgan Schneiderlin: Everton sign Man Utd midfielder for fee rising to £24m". BBC Sport (British Broadcasting Corporation). 12 January 2017. Retrieved 25 July 2018. ^ "Manchester United: Memphis Depay makes move to Lyon". BBC Sport (British Broadcasting Corporation). 20 January 2017. Retrieved 25 July 2018. ^ "Danny Welbeck: Arsenal sign Man Utd forward in £16m deal". BBC Sport (British Broadcasting Corporation). 2 September 2014. Retrieved 25 July 2018. ^ a b "Stam anger at Sir Alex snub". BBC Sport (British Broadcasting Corporation). 16 September 2001. Retrieved 25 July 2018. ^ "Veron signs for Chelsea". BBC Sport (British Broadcasting Corporation). 7 August 2003. Retrieved 25 July 2018. ^ Stone, Simon (17 July 2018). "Daley Blind: Ajax confirm deal for Man Utd & Netherlands defender". BBC Sport (British Broadcasting Corporation). Retrieved 25 July 2018. ^ "Ruud comes through Madrid medical". BBC Sport (British Broadcasting Corporation). 28 July 2006. Retrieved 25 July 2018. ^ "The men in charge". StretfordEnd.co.uk. Retrieved 9 October 2010. ^ Cass, Bob (12 December 2010). "Sir Alex Ferguson set to pass Sir Matt Busby's United milestone". Mail Online. London: Associated Newspapers. Retrieved 17 December 2010. ^ "Man Utd rename Old Trafford stand in Ferguson's honour". BBC Sport. British Broadcasting Corporation. 5 November 2011. Retrieved 5 November 2011. ^ "United under Sir Alex Ferguson". StretfordEnd.co.uk. Retrieved 19 May 2013. ^ a b Barnes, Justyn; Bostock, Adam; Butler, Cliff; Ferguson, Jim; Meek, David; Mitten, Andy; Pilger, Sam; Taylor, Frank; Tyrrell, Tom (2001). The Official Manchester United Illustrated Encyclopedia. London: Manchester United Books. p. 44. ISBN 0-233-99964-7. ^ Murphy, Alex (2006). The Official Illustrated History of Manchester United. London: Orion Books. p. 73. ISBN 0-7528-7603-1. ^ "United in the League Cup". StretfordEnd.co.uk. Retrieved 3 August 2008. ^ a b c d e f g h i j k l "Best and Worst". StretfordEnd.co.uk. Retrieved 3 August 2008. ^ "Top Ten: Manchester United shock League defeats". sport.co.uk. Archived from the original on 19 April 2010. Retrieved 15 December 2010. ^ "United in the Cup-Winners' Cup". StretfordEnd.co.uk. Retrieved 3 August 2008. ^ a b c d e "Manchester United General Records". ManUtdZone.com. Archived from the original on 14 August 2008. Retrieved 3 August 2008. ^ a b c d e f g Rollin, Glenda; Rollin, Jack, eds. (2009). "The Clubs". Sky Sports Football Yearbook 2009-2010. Headline. pp. 260–261. ISBN 978-0-7553-1948-0. ^ Whyatt, Chris (5 February 2011). "Wolverhampton 2–1 Man Utd". BBC Sport. British Broadcasting Corporation. Retrieved 5 February 2011. ^ Sanghera, Mandeep (21 February 2009). "Man Utd 2–1 Blackburn". BBC Sport. British Broadcasting Corporation. Retrieved 22 February 2009. ^ a b c d "Newton Heath". Football Club History Database. Retrieved 3 August 2008. ^ Hibbs, Ben (3 April 2008). "Defence on for record". Manchester United F.C. Retrieved 3 August 2008. ^ James, Gary (2008) . Manchester - A Football History (1st ed.). Halifax: James Ward. p. 492. ISBN 978-0-9558127-0-5. ^ White, John D. T. (2008). The Official Manchester United Almanac. London: Orion Books. pp. 36–37. ISBN 978-0-7528-9192-7. ^ "Charity Shield winners 1908–2011". StretfordEnd.co.uk. Retrieved 12 April 2012.